We offer an extensive stock of FIBC Liners for meeting the varied requirements of packaging industry. 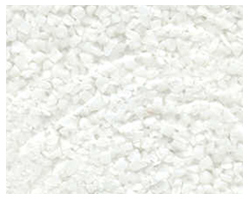 In our stock, we have excellent quality liners for dry granular as well as liquid and semi- liquid products. In addition to this, we have custom fit liners for various types of flexible intermediate bulk containers. These are highly appreciated among clients for their smooth finishing, enabling high filling capacity. Moreover, we also have special type of liners for critical applications in electro statically sensitive environment. Form Fit FIBC Liner is specifically designed to custom fit flexible intermediate bulk containers. The liner offers with it, several handling, processing, space utilization and shipping advantages. It remarkably improves the filling capacity of the container as there are no plates or folds to trap the material. In addition to this, the product is also easy to move and out of the container designed with form fit liner.